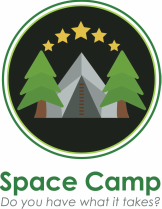 Space Camp is a programme of residential experiences that you can run yourself in your own school and will immerse your pupils into the amazing world of Space Science. The inspirational theme easily links with many areas of the curriculum and provides a wealth of fabulous learning opportunities that will ensure that these are experiences that will create memories that last a lifetime. Primarily we hope that this will be a fabulous opportunity to enrich your Science Curriculum as well as provide time to be creative in your approach by linking Science themes to the wider curriculum. We hope to encourage and support as many schools as possible across the UK to setting up their own Space Camp programme. The Space Camp UK team are based at Chipping Campden School in Gloucestershire. The team is lead by Amanda Poole, a Physics and Primary Science Specialist teacher who set up the first Space Camp programme at Shrubland Street Primary School in Leamington Spa, Sam Whittaker, Science Specialist HLTA who has organised and participated in over 30 Space Camp residential and Jackie Flaherty, Director of STEM at Chipping Campden School. We are gradually building up a network of Space Camp Ambassadors from universities, astronomical societies and schools who can come and run activities in schools and share their expertise. In 2014 Amanda Poole won the 'Let Teacher's Shine' competition, run by the SHINE Trust, for her idea to develop a programme of low cost Science residential activities in the school setting. The prize was the funding to bring this idea to life and so across 2014 and 2015 around 180 children from the ages of 5 to 11 at Shrubland Street Primary School participated in a Mini Space Camp with an additional 20 KS2 pupils attending the week long Space Camp Max during the Easter Holidays. The programme has had a positive impact on many aspects of children's learning and development as well as having a far reaching impact on many aspects of school life. For this reason Amanda and her amazing team that have worked to take Space Camp UK to more schools, sharing their experiences and encouraging other teachers around the country to set up their own programmes. To date, the Space Camp UK team have supported over 100 UK schools in setting up Space Camp programmes. In 2018, The Space Camp UK project was able to continue, with the support of the Stephen Hawking Foundation who have provided the funding for Space Camp Programmes to be set up in 120 schools before 2020.